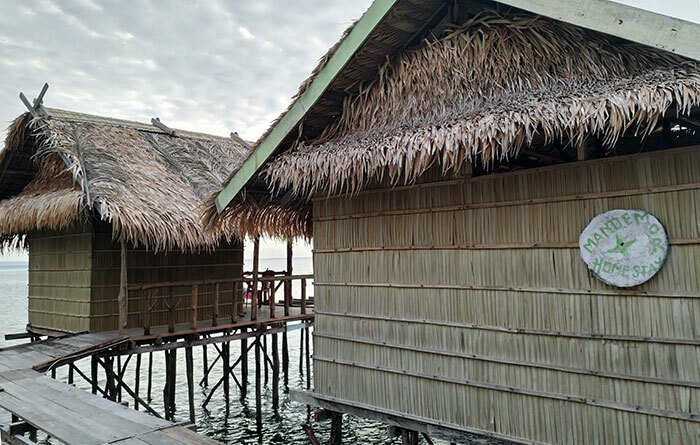 Mandemor Homestay has three over-water private bungalows at Yensawai village on Batanta. 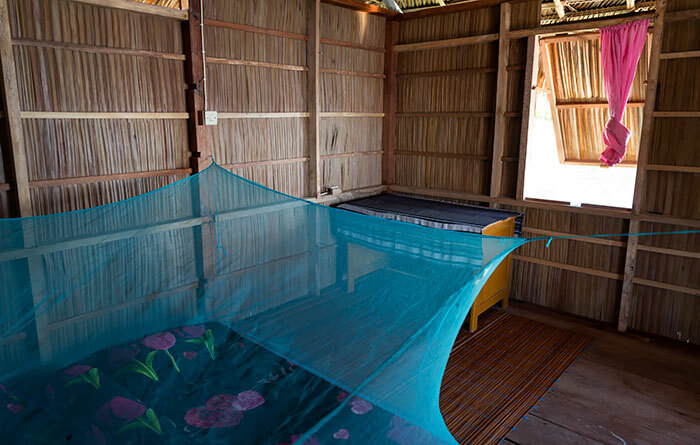 The bungalow bedrooms sleep two on a mattress on the floor, which has sheets, pillows, bolsters and a mosquito net supplied. The bedrooms all have a light switch and power outlets and a small desk. 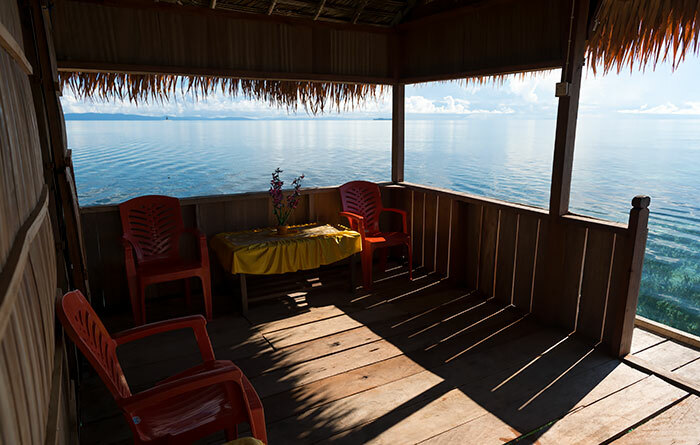 Meals are served on the bungalow verandahs which have panoramic views to the east, across the seagrass flats to the Dampier Strait, Pulau Arefi, and the hills of Batanta. 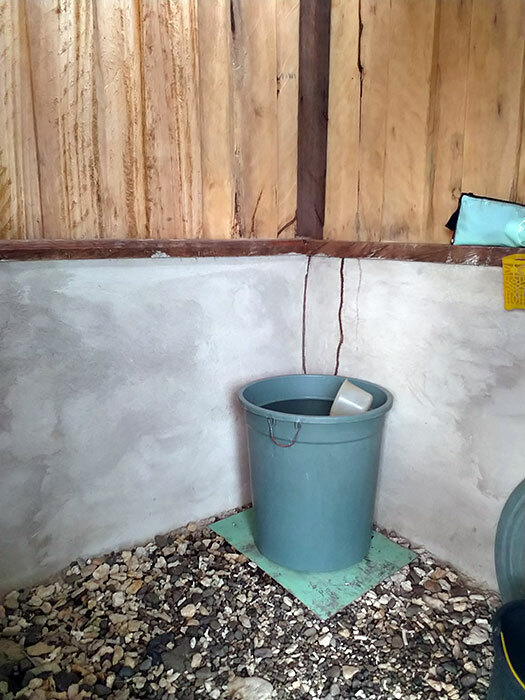 A western style toilet and bucket bathing is provided on shore for guests. A 4G telephone signal was available in Yensawai in August 2018 and data connections were possible. The small shops in Yensawai sell basic supplies, but Batanta is quite remote, so you should bring all the consumeables you consider essential. Only basic English is spoken at Mandemor Homestay, so it’s best to have a phrasebook with you if you don’t speak Bahasa Indonesia. Transport from Waisai to Mandemor Homestay costs IDR 1,500,000 each way. 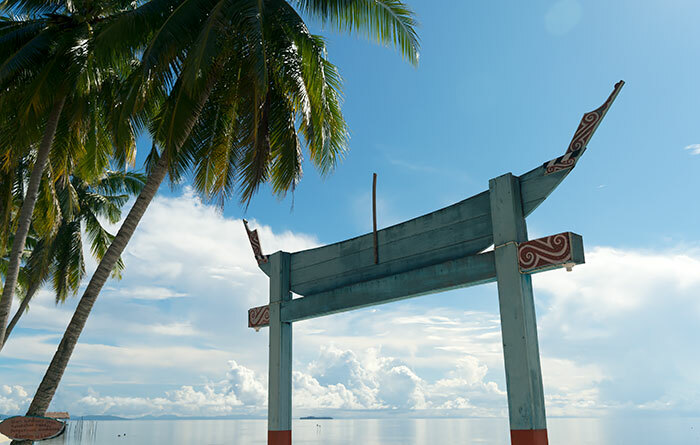 The trip cost is shared by passengers and is in a longboat that can carry up to 4 guests. If you’re in a hurry, or have a larger group, a speedboat that carries six is also available. Speedboat transfers cost IDR 2,000,000 each way. 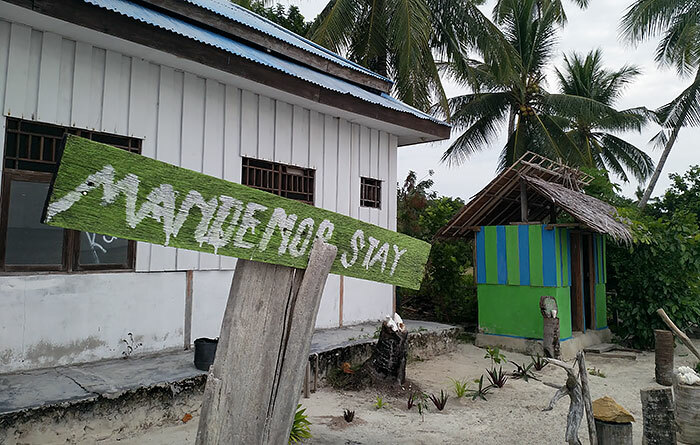 Transfers between Mandemor Homestay and anywhere else you’re headed for are available. Prices below are in IDR, for a one way trip, shared by boat passengers. 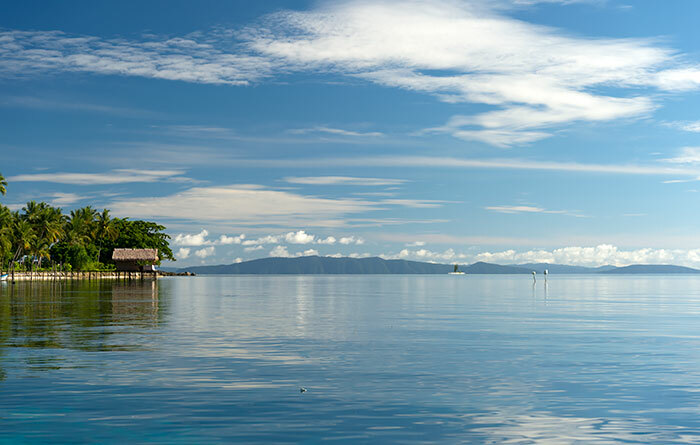 Be sure to bring snorkelling gear, because Mandemor Homestay has a wealth of marine life right at the door. 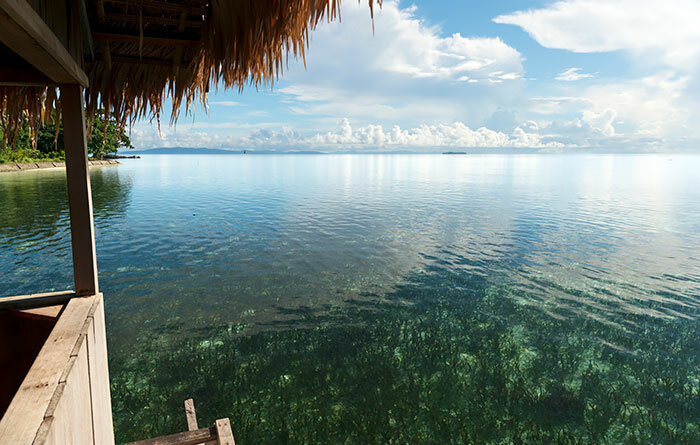 The seagrass flats that surround the homestay are a nursery for all kinds of creatures and dugongs are sometimes seen grazing right below the homestay. 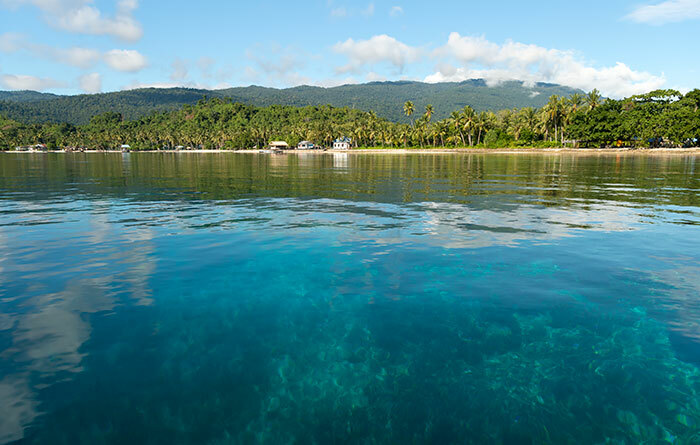 Coral reefs occur not far from Mandemor where the seagrass flats give way to deeper water. 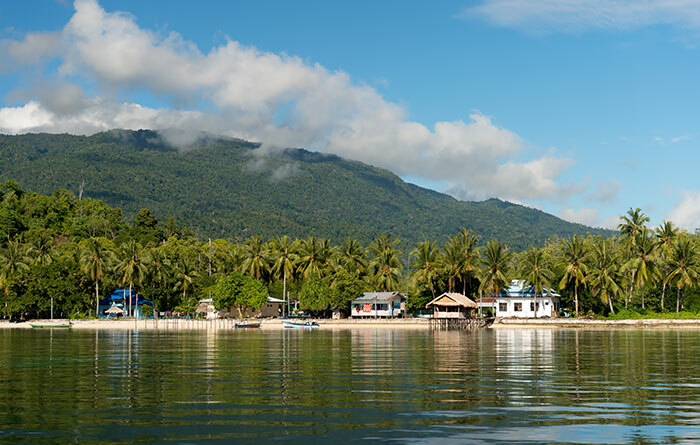 Mandemor Homestay can arrange snorkelling and sightseeing trips to all the local attractions. 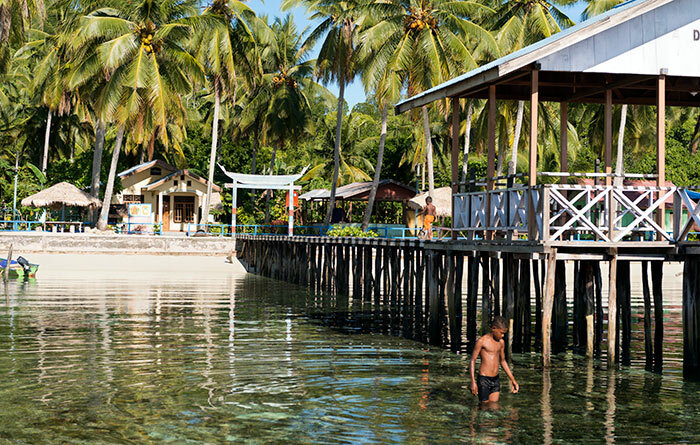 Waterfalls, sand cays, jungled bays and Pulau Birie’s fabulous reefs are all close by. A few of the many possibilities are listed below. Prices are IDR, per trip, shared by participants. 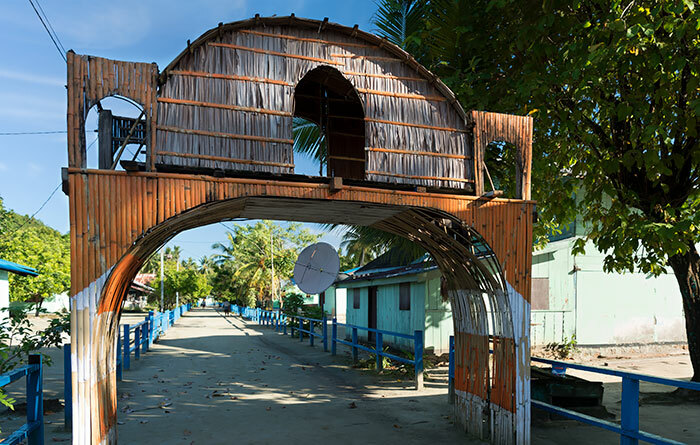 Explore Yensawai village and ask about the occasional music performances that are organised there. Long beach walks are possible from the eastern end of the village at low tide. Nice bungalows, nice food and run by lovely people. Requests for vegetables and/or fruits were happily met. 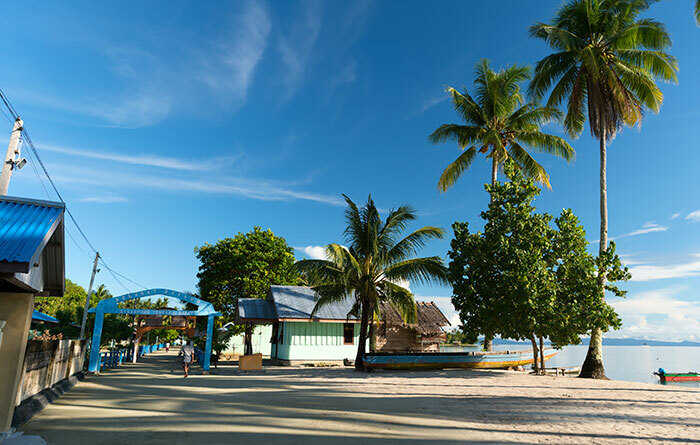 There is a good house reef (huge clams right underneath the bungalows) and 5 minutes away is Ayof reef which is one of the best I have snorkelled in RA. Would recommend this homestay anytime. I have just had a wonderful stay at Mande Mor Homestay. Jozeef and his family are the most hospitable and caring people, from the moment we arrived to the time we left, nothing was too much trouble for them to make sure we were comfortable, well fed and happy. I am traveling with my son and they kindly organised an extra mattress for him to lay on during the day out on my veranda (I had my own hammock with me). They went to the shop and chilled coke for him. Jozeef took us for a boat trip to go snorkelling and look for Dugongs. He introduced us to Samson who is a guide here and who took us to a sand bar with an amazing reef and he came snorkelling with us, pointing out various things to us. Unfortunately we didn’t find any Dugongs but we had a fantastic day. The water is so clear, we saw turtles and sharks, and a very big bonus for me was right infront of the Homestay is fantastic snorkelling as I stepped off the veranda of my overwater bungalow. I counted 20 giant clams (seriously), found nudibranches, walking sharks asleep under the coral rocks, crown of thorns sea star, and much more. To the left was sea grass, infront and to the right loads of coral and grass mixed together that feels like you are on a kind of muck dive. Jozeef organised our boat back to Waisai for 1.5 million. 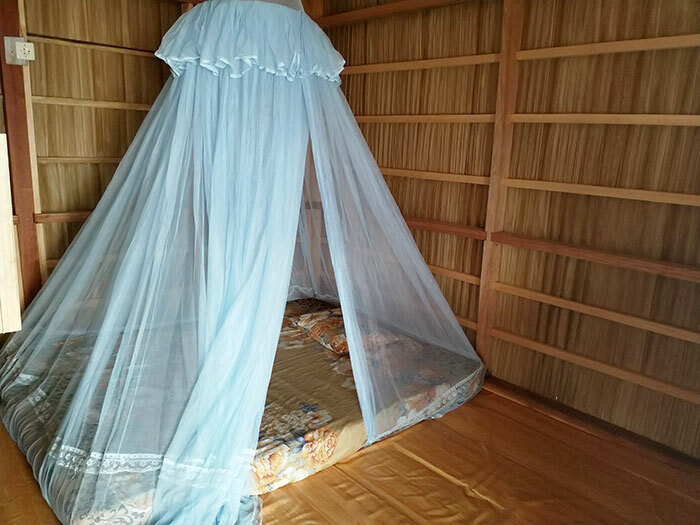 The bungalows are comfortable with mosquito nets. The toilet and Mandi are clean and well kept. 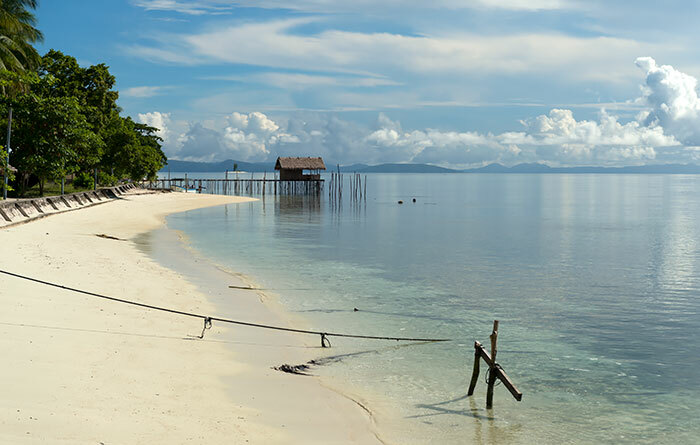 Bring your own snorkelling gear as there isn’t anywhere in the village to rent. 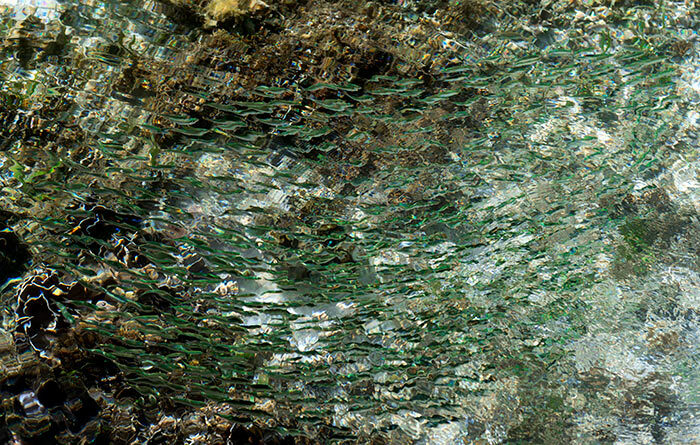 We went snorkelling without fins and found some places were quite difficult when the current was a bit strong. I can highly recommend this Homestay and this lovely family. Thank you Jozeef! 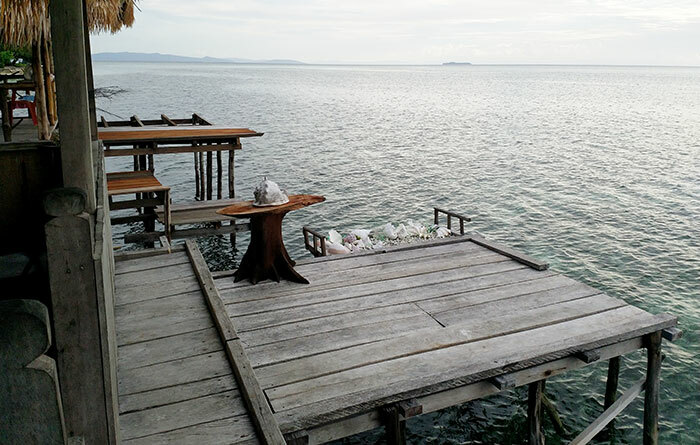 We ended up at Mandemor as Dugong homestay which we had pre-booked before coming to Raja Ampat already had people staying in it. There is limited phone signal at Dugong and also Musa who was looking after it, said his phone was broken. Due to this we were relocated a 10 minute boat ride to Mandemore. 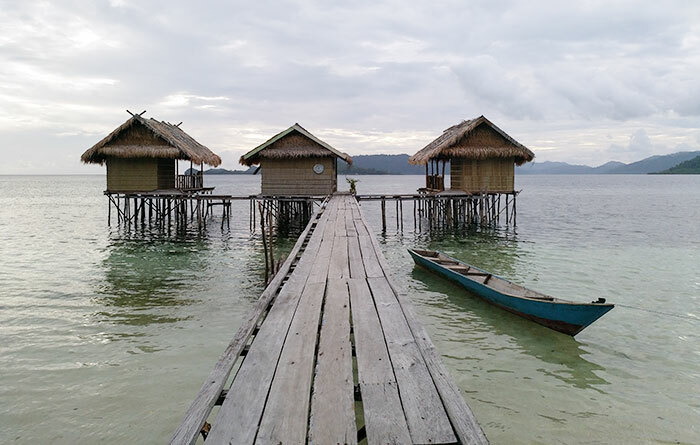 There is one homestay in the entire village with an amazing location on its private jetty over the water. 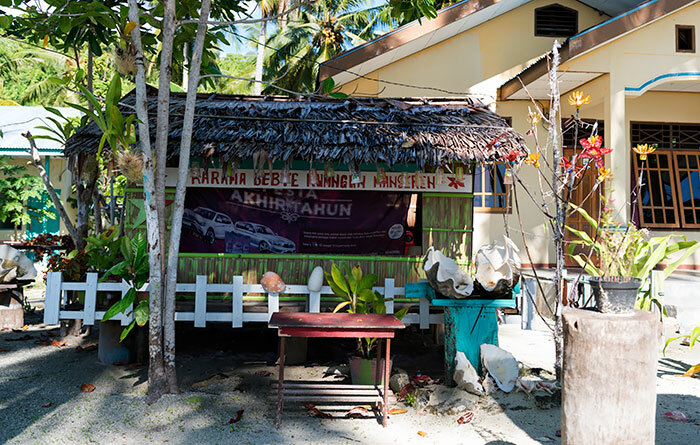 The hosts are part of the family who own dugong and a few other homestays. 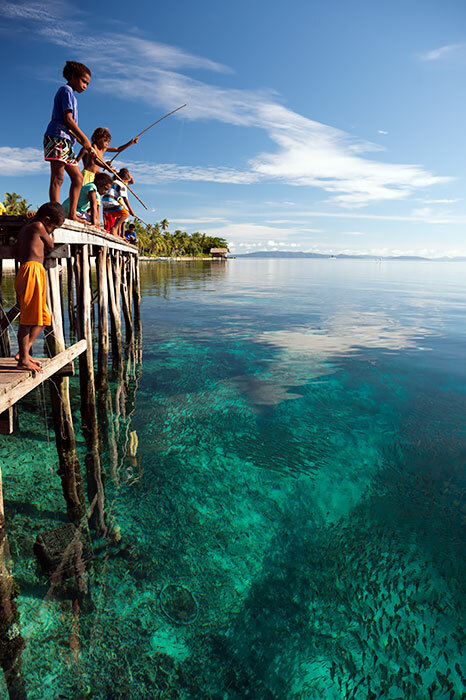 They have limited English but are extremely friendly which is consistent with what we experienced in Raja Ampat. 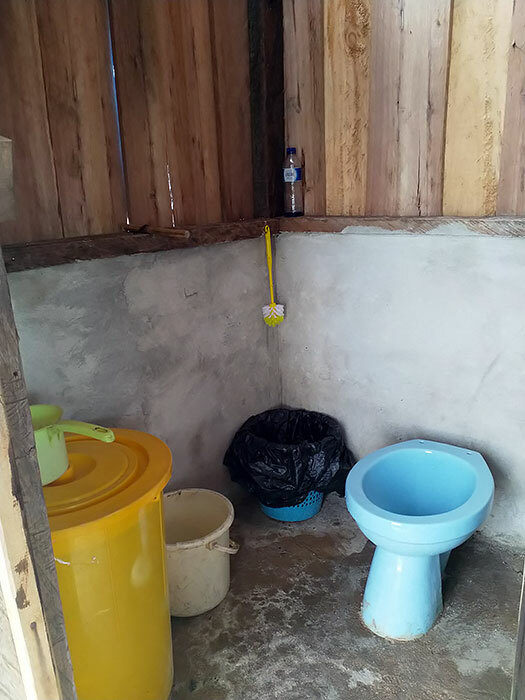 There is a seperate toilet block which is well maintained. Amazingly there is fairly regular 4g signal. Although it was very slow and more like 2g, it was certainly a pleasant surprise to have signal / internet. 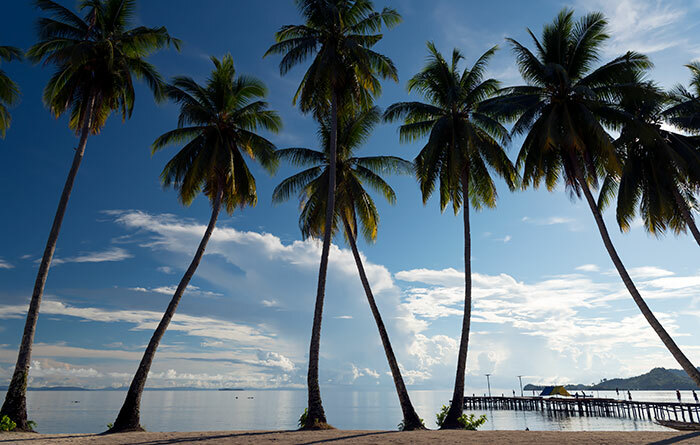 The family were very nice and the food was exceptional being the best we had during our time in Raja Ampat with fresh fish, lobster and regular homemade sweets / cakes. As the only tourists in the village we were a bit of a hit with the local children and one can interact with them as much or as little as desired. 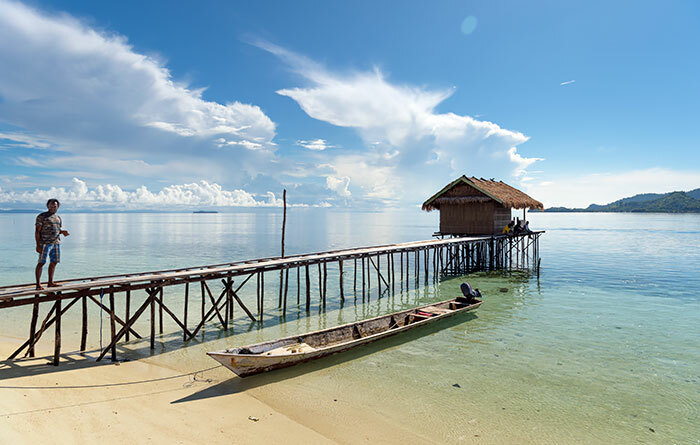 The house reef is not the best in Raja ampat but is reasonable, most notably with a large shoal of fish under one of the jetties. 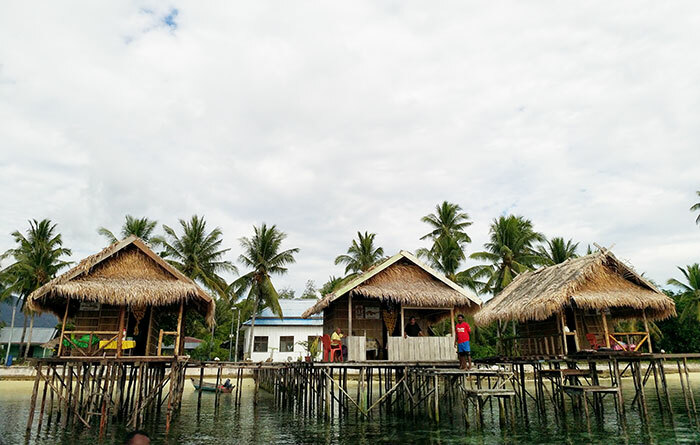 We did a local bird watching trip and you can also make a trip out to other islands for snorkelling. 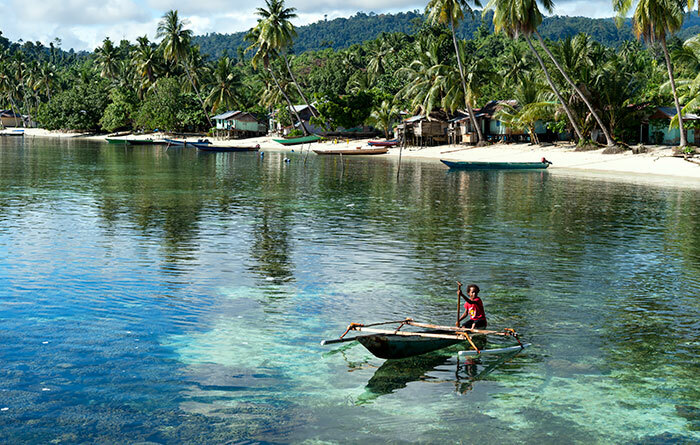 There is a small desert type island a short boat trip away which has excellent snorkelling. There is a chance of seeing hornbills, palm cockatoos, the usual sulphur crested cockatoos and the odd eclectus parrot. There is also a local dugong, which my brother saw albeit very briefly over in front of Dugong homestay. Though in general I think you have to be very lucky to spot one.